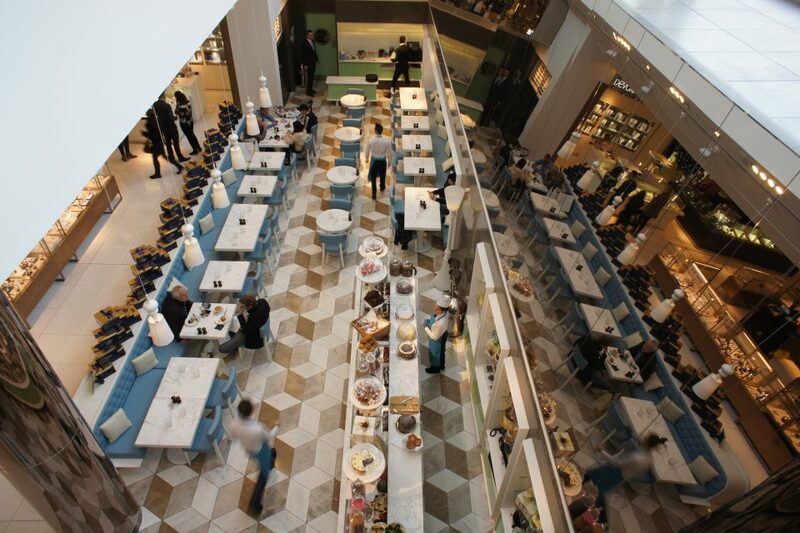 Located on the second floor of Selfridges in Manchester City Centre, San Carlo Bottega is a stylish restaurant, cocktail and champagne bar, provided by the multi award-winning San Carlo Group of Italian restaurants. 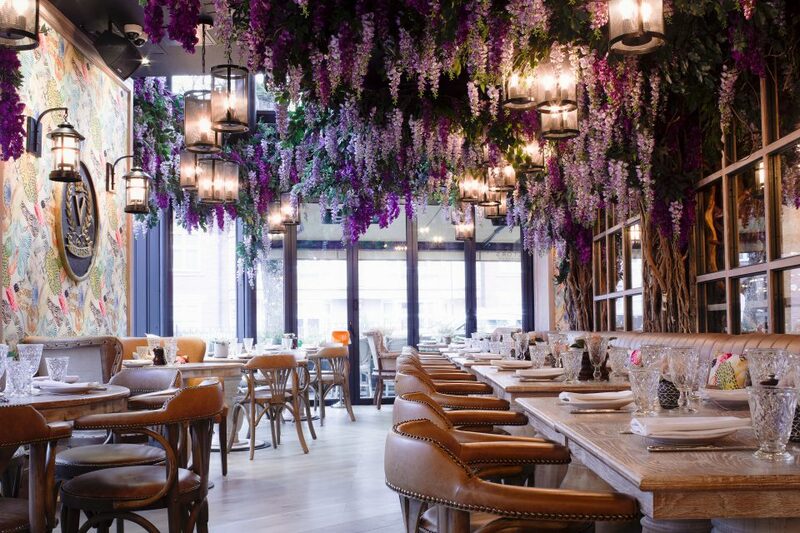 We provided the full fit-out of this stunning restaurant and bar, which feature floor to ceiling windows for great views across Exchange Square, as well as a spectacular solid marble bar. The space was located within Ladies Fashion, which remained fully open throughout the fit-out. 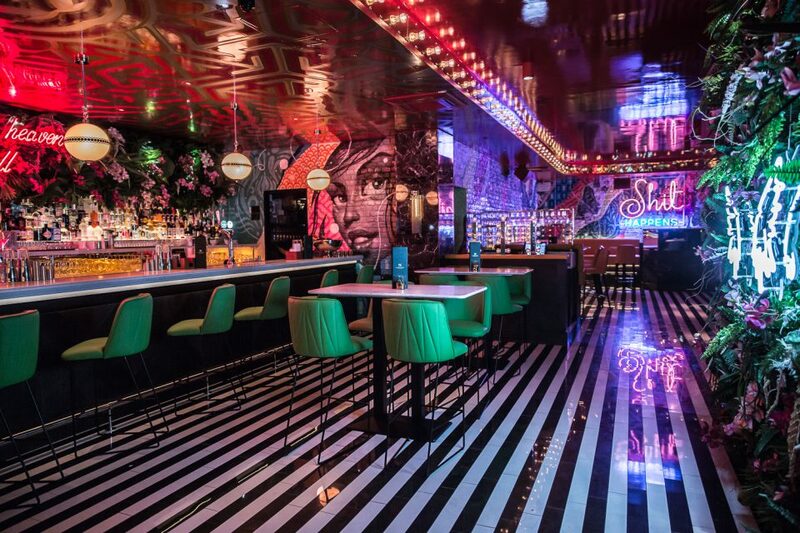 This, coupled with the City Centre location and the project being on the second floor, created challenges in delivering the goods to site, particularly the substantial pieces of marble for the bar. Selfridges has very rigid protocols, including their Sprinkler System. We worked closely with our Client and the team at Selfridges to deliver this project, minimising the disruption to Selfridges and their customers. The programme was extremely tight, with just 42 days to deliver this spectacular design by Carroll Designs. We worked 24 hours a day to deliver this project on time.